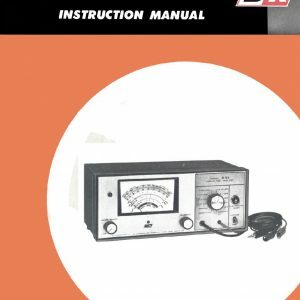 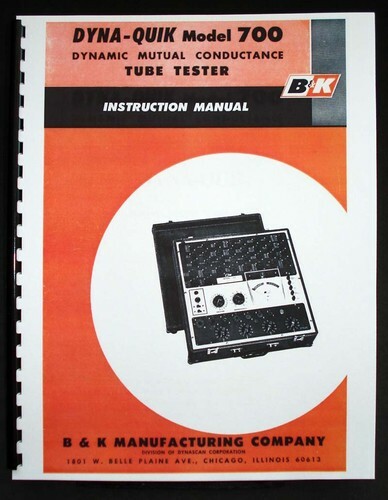 For sale is reprint of B&K Dyna-Quik 700 Dynamic Mutual Conductance Tube and transistor Tester manual. 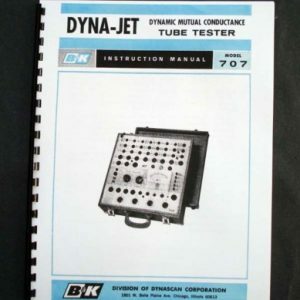 Manual is 12 pages long, Tube data is 23 Pages long. 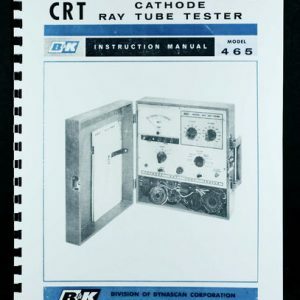 Dated 1975. 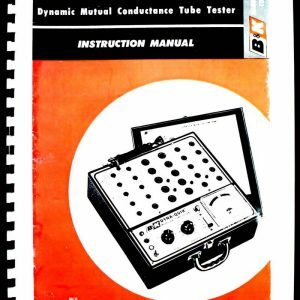 Manual includes Part List , two 11×17″ foldouts of Circuit Diagrams and 11 Pages of Tube test supplements and technical notes.